TIMA is an organized global service network of over 5,500 licensed doctors and nurses who serve as volunteers. They always use utmost care and attention to treat the poor and the sick, providing total medical care including surgeries. During disasters, TIMA volunteers cooperate with the Tzu Chi Disaster Relief Committee by going to the disaster area to help treat the sick and wounded victims. As of December 2006, TIMA has already helped roughly 940,000 people in over 32 countries. 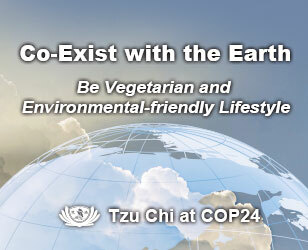 Tzu Chi was founded in 1966, focusing mainly on charitable volunteer work. Through 10 years of experience in helping the needy and the sick, Master Cheng Yen realized that sickness often leads to poverty, and that dong charity only provides temporary solutions to the problems. Master realized that curing people’s diseases can actually prevent poverty. So in 1972, with the support of some doctors and medical professionals from the Hualien Provincial Hospital, Tzu Chi started holding twice weekly free medical missions for the poor in the area. The doctors even went on regular home visits to far flung areas where medical services were not available. To contribute to Tzu Chi’s mission of medicine by reaching more needy people, a group of medical professionals from various hospitals committed themselves and in 1996, established the “Tzu Chi Medical Association” with the vision of “Curing Sickness, Healing People, Healing Hearts”. 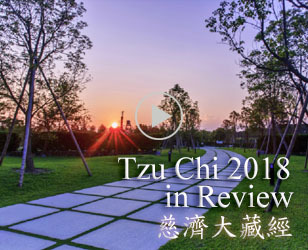 In 1998, it was expanded to “Tzu Chi International Medical Association” or TIMA, which was to become a venue for compassionate medical professionals who want to give back to society and reach out to every corner in where medical help is needed. TIMA’s uniqueness is that not only do they have a group of well trained medical professionals, but that most of the volunteers highly understands the aim and scope of the project. This enables the medical treatment a broader range of services, including hospitals, dialysis center, free medical treatment centers and other medical functions. Members from all over the world serves as volunteers. 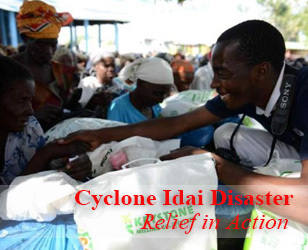 No matter what nationality and what their beliefs are, they offer their services wherever they live, and if any international calamity should occur, volunteers from countries near or far would also volunteer their help and support. Services rendered vary from place to place, because each country has different laws. For example, TIMA volunteers in Taiwan regularly visits mountainous regions and other remote areas, where medical treatment is hard to find, so they could conduct regular health checkups, free medical treatments and health lectures. In the cities, they offer free medical treatment for the indigent and conducts visitations to care for the homeless, the poor, and old people who live alone. But for the medically deprived Philippines, patients seeking medical treatment easily reach thousands with long and chaotic queues for those who seek medical attention. As for the medically competent U.S., besides giving free medical treatments, they give extensive medical consultation and health education courses. Each place has their own scenario and although resources may be limited, TIMA volunteers still can’t ignore/endure to see people suffering, regardless of whether its from poverty or sickness or suffering heart because to them there’s no difference, they’ll need all the help they can get. TIMA is a union of the Tzu Chi Charitable Works. Hoping to thoroughly knit a safety net of love to protect people and to free them from suffering and obtain happiness, not only does TIMA provide medical needs, they also treat the pain caused by poverty, help the lonely by consoling and accompanying them, and even provide financial support. If the TIMA operation from each country matures, there will be free medical treatment or free hospital establishments in each of their respective location. Compound this with the TIMA from other parts of the globe and this would become a worldwide medical network, making it a globally cooperative effort to help and save those in need. TIMA’s vision is to continue to motivate the great healers (doctors), and angels in white (nurses) to truly work for people, with pain and sickness in mind. They will always prioritize the welfare of the sick by personally understanding the pain and suffering, so that they can heal both the mind and the body, setting a new level of moral principles for medical professionals around the world.